Commercial appliances are a crucial part of any business.But they can give you a head a cheat any point in time, especially when you can’t afford to wait.If you are in need of a commercial appliance service, contact our company.We repair all types of fridges and freezers, gas and electric ranges, and many other appliances.With us,commercial appliances Newark service can be quick, affordable and stress-free. Whether you run a restaurant,grocery store or Laundromat, you should keep the number of dependable appliance service specialists handy. Appliance Repair Newark is one of the most reliable commercial appliance repair companies in Newark, New Jersey. We have the expertise and qualification to work on all major appliances. As an experienced service provider, we can resolve virtually all appliance-related problems within a short time.Our appliance service technicians have the proper equipment and skills needed to complete any type of repair you may need. All members of our team are licensed and certified professionals.We are ready to perform commercial appliance repair the very same day of your call.If one of your units ceases to work the way it should, call our specialists right away. We know the right methods to make it run as good as new. Be it a commercial freezer repair, range replacement or dishwasher service, we do it all! 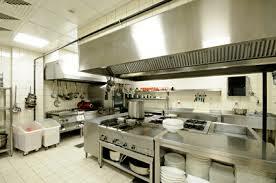 Our company specializes in all sorts of commercial kitchen appliances services. From repair to maintenance, you can rely on our team. We can help you avoid unexpected refrigerator or oven repairs by servicing your appliances on a regular basis. Hiring our team for routine check-ups is the best way to increase the efficiency of your appliances.Our refrigerator and stove repair technicians are authorized to work on all brands available on the market. Just give us a call and let us take care of the rest. With us, your commercial appliances in Newark will work like new for years to come!